Born at Deloraine on 7 February 1926, son of George Edward Gilson (1891-1970) and Ellen Rose Gilson (1909-1977), he served in the Canadian military for two years during the Second World War. Afterwards, he embarked on a distinguished career in agricultural economics, earned BA and MSc degrees from the University of Manitoba and a PhD from Iowa State University. He joined the Department of Agricultural Economics at the University of Manitoba in 1954, serving as head of the department in 1967. 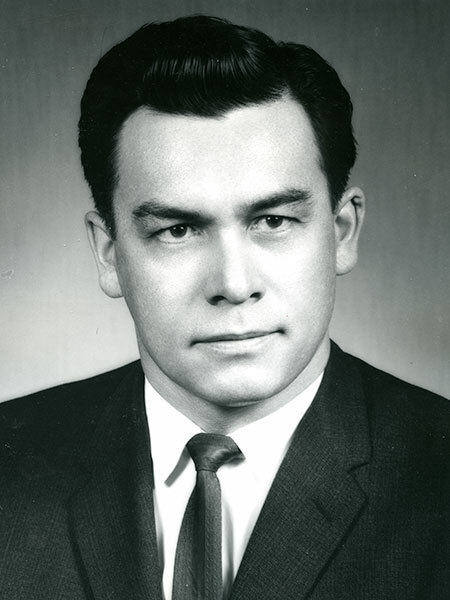 By 1968, he became the Dean of the Faculty of Graduate Studies and then served as University Vice-President from 1971 to 1978. He received a Distinguished Professor Award from the University in 1981 and, after his retirement, was made a Professor Emeritus and Senior Scholar in 1993. He also served as the chairman of the board for the Manitoba Crop Insurance Corporation. In recognition of his contributions to the agricultural sector in Canada, he received an honorary doctorate from the University of Guelph (1987) and he was inducted into the Order of Canada (1993) and the Canadian Agricultural Hall of Fame (1996) and Manitoba Agricultural Hall of Fame (2001). He died at Winnipeg on 11 June 2000. Obituary [Ellen Gilson], Winnipeg Free Press, 15 December 1977, page 58. Obituary, Winnipeg Free Press, 14 June 2000.